We are a Certified Soucy Track dealer located in the heart of Kansas. Whether your looking for a new set of Soucy Tracks for your combine or Agriculture Equipment, we are here to serve you. Preferred Equipment Company is proud to supply farmers across the United States with the right products and agriculture equipment to help during both harvest and planting seasons. We have joined with Soucy to sell their track system and give our customers all the benefits Soucy has to offer. Preferred Equipment Company and ConAG Services have joined forces to design and produce the patented tracks mounting system for cotton pickers. Preferred Equipment has partnered with C&C Combine Performance out of Texas to bring you the newest concave system to hit our market. We sell new used Ag Equipment. 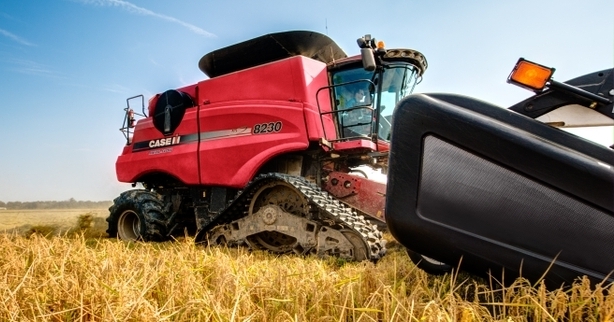 Check out our Ag Equipment inventory to find the right farm equipment for this season. Contact Preferred Equipment Today! We will reply within one business day.